For as much of a carnivore as I am, I don’t actually dabble with cooking steak very often. 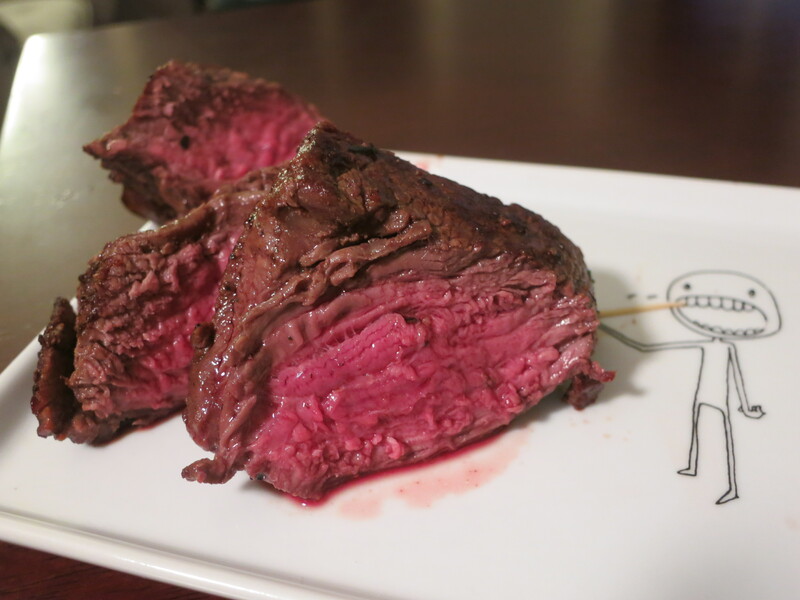 I made a Pepper-Crusted Filet Mignon the other week and it was quite tasty, but I’ve wanted to improve. So I bought a few tenderloins and really wanted to focus on the meat and not on the accoutrements/garniture. So I stuck the the basics of salt and pepper and sprinkled in some springs of thyme for show and the results were fantastic. Rumor has it I licked the plate after I ate the slices of meat. I’m not ashamed though. 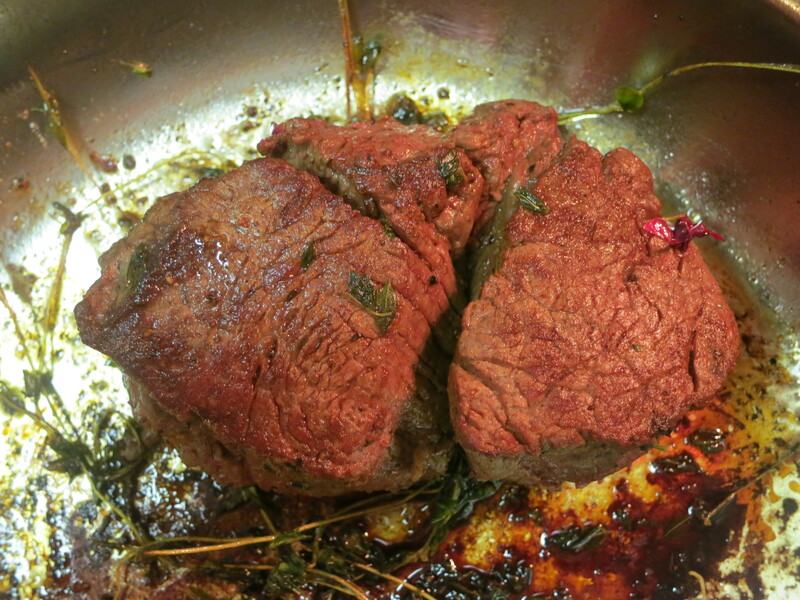 Take the filets out of the fridge and let them sit out for 20-30 minutes to get to room temperature. Salt and pepper the steaks on all sides. Heat up 1tbsp of butter on high heat and sear the steaks for about a minute on each side to get a nice brown crust. Then lower the heat to medium low and cook on each side for 3-5 minutes. Here I added a bit more butter and thyme springs to infuse some more flavor into the meat, but that is optional. I like my steaks pretty rare so I kept the cooking time short, but I would extend it for a more medium doneness and thicker cuts. I always lick the plate. 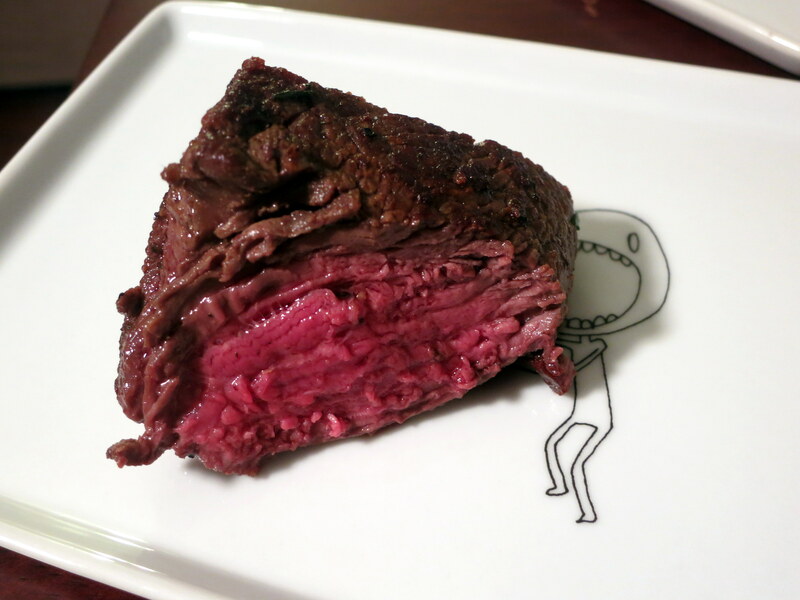 That is PERFECTLY cooked… Not licking would be wasting.